The first part of the deed of sale for the lot on Ammon street. Click to enlarge. 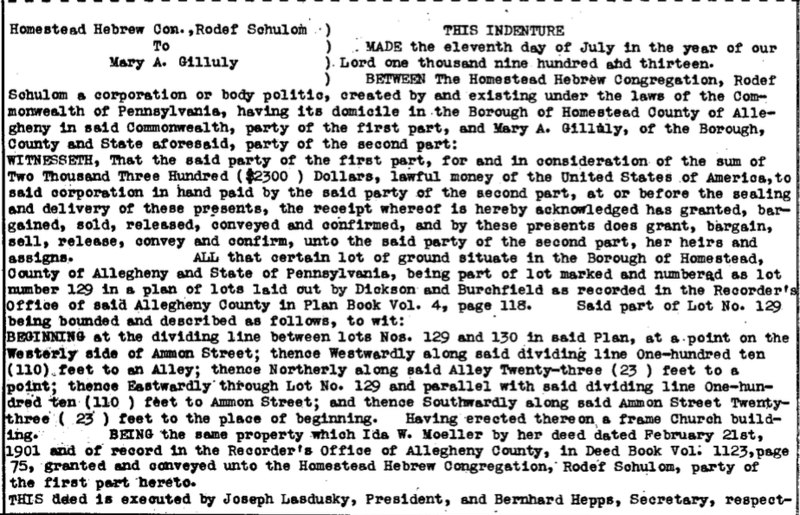 The synagogue’s copy of this deed is not preserved i the archives. 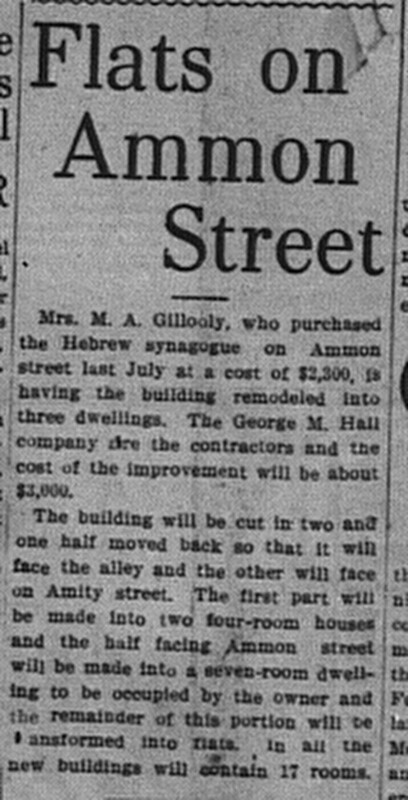 On 7/11/1913, the congregation sold the lot where the first synagogue stood to Mary A. Gilluly for $2300. You can read the full deed in this PDF. Representing the congregation in this deal were Joseph Lasdusky and Bernhard Hepps. 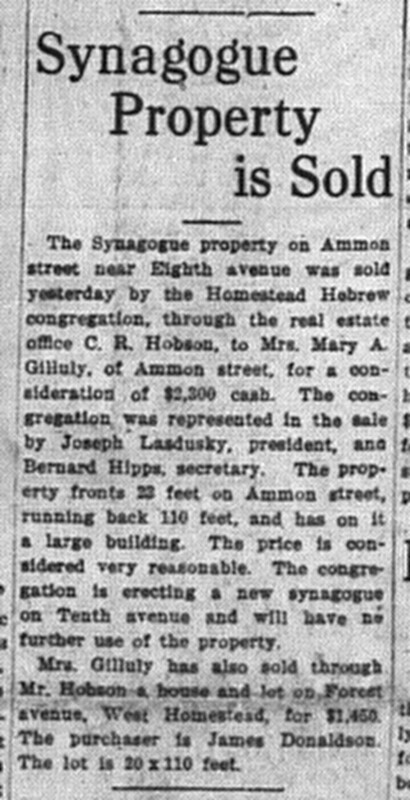 The deal was reported in the Homestead paper on 8/8/1913. 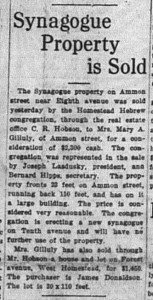 The Synagogue property on Ammon street near Eighth avenue was sold yesterday by the Homestead Hebrew congregation, through the real estate office C.R. Hobson, to Mrs. Mary A. Gilluly, of Ammon street, for a consideration of $2,300 cash. 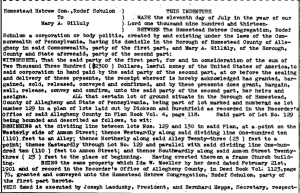 The congregation was represented in the sale by Joseph Lasdusky, president, and Bernard Hipps (sic), secretary. The property fronts 23 feet on Ammon street, running back 110 feet, and has on it a large building. The price is considered very reasonable. The congregation is erected a new synagogue on Tenth avenue and will have no further use of the property.